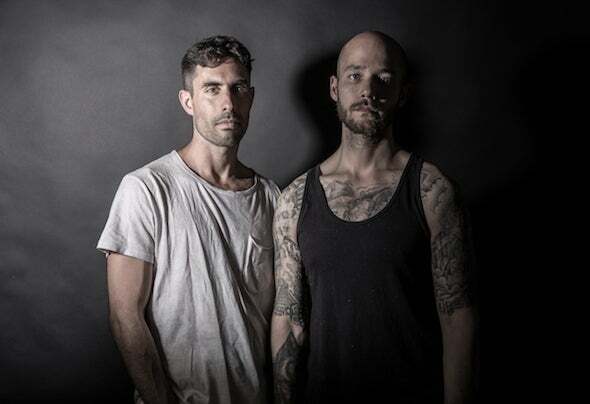 Räuber & Schulz is the production alias of Patrick Räuber and Marvin Schulz, who met in 2016 and decided to co-create music. What started as a hobby, quickly grew into an addiction. Soon, Patrick and Marvin found themselves working day and night, digging to find the right set of sounds that might survive the winds of time and has the power to tickle that certain feeling in the listener’s soul. Coming from a rough industrial background and working-class families, the duo utilizes a driving, straight-forward techno canvas and adds melodies and atmospheres to display their heart’s desire for a more colorful, connected world.Just little over a year into their journey, Räuber & Schulz created a full-length conceptual LP and a handful of EP’s, all created to invite listeners onto explorative journeys of themselves and the world around them. For Räuber & Schulz, writing music now is a coping mechanism for difficult situations and a way to express what goes beyond language and touches on a deeper level – one on which we’re all connected.In the future, Räuber & Schulz thrive to create deeply-moving music for the dancefloor that invites people around the world to focus purely on the moment, outgrow their worries and reconnect to their senses – for when the world is dancing, the world is at peace, again.